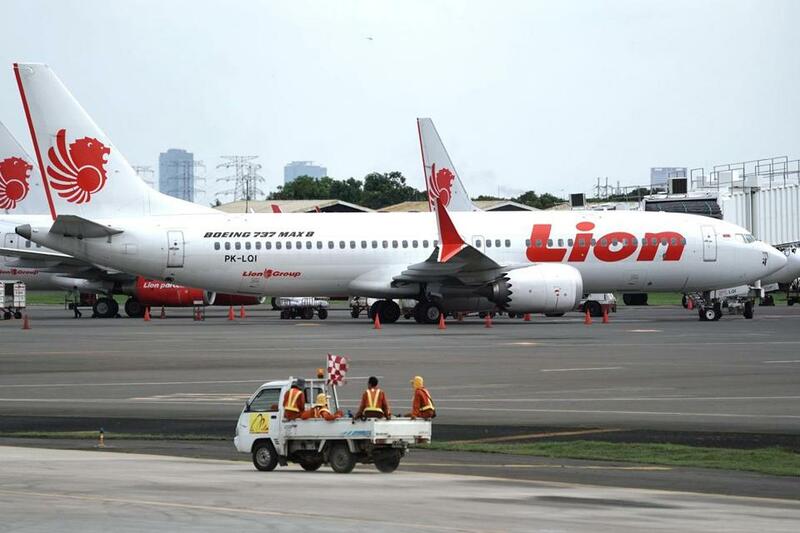 A Lion Air Boeing Co. 737 Max 8 aircraft. ‘‘All the data and information that we have on the flight and the aircraft have been submitted to the Indonesian NTSC. We can’t provide additional comment at this stage due the ongoing investigation on the accident,’’ Lion Air spokesman Danang Prihantoro said by phone. ‘‘We will fully cooperate in the review in the Department of Transportation’s audit,’’ Boeing spokesman Charles Bickers said in an email. The company has declined to comment on the criminal probe. Authorities have released few details about Ethiopian Airlines Flight 302 other than it flew a ‘‘very similar’’ track as the Lion Air planes and then dove sharply into the ground. There have been no reports of maintenance issues with the Ethiopian Airlines plane before its crash. ‘‘After this horrific Lion Air accident, you’d think that everyone flying this airplane would know that’s how you turn this off,’’ said Steve Wallace, the former director of the U.S. Federal Aviation Administration’s accident investigation branch. ‘‘It’s simply implausible that this MCAS deficiency by itself can down a modern jetliner with a trained crew,’’ Guzzetti said.